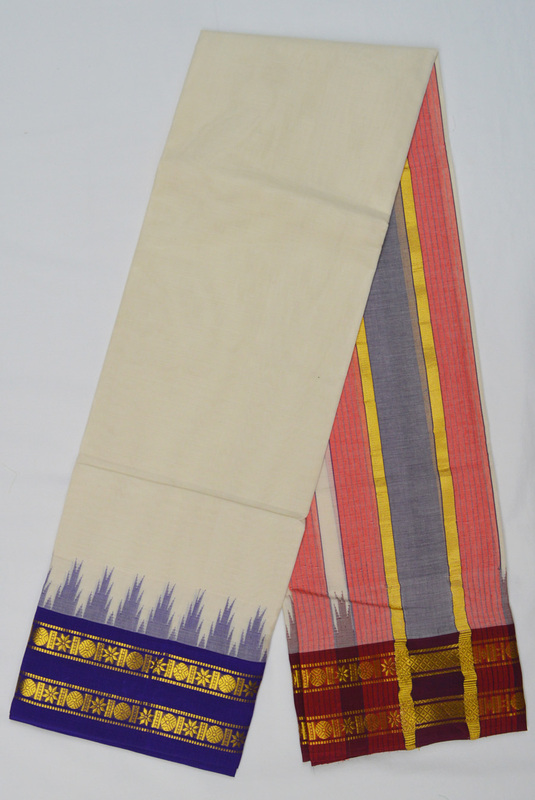 3 yards (6 Muzham), 4" Double Side Zari Ganga Jamuna border, with Temples, cotton dhoti. 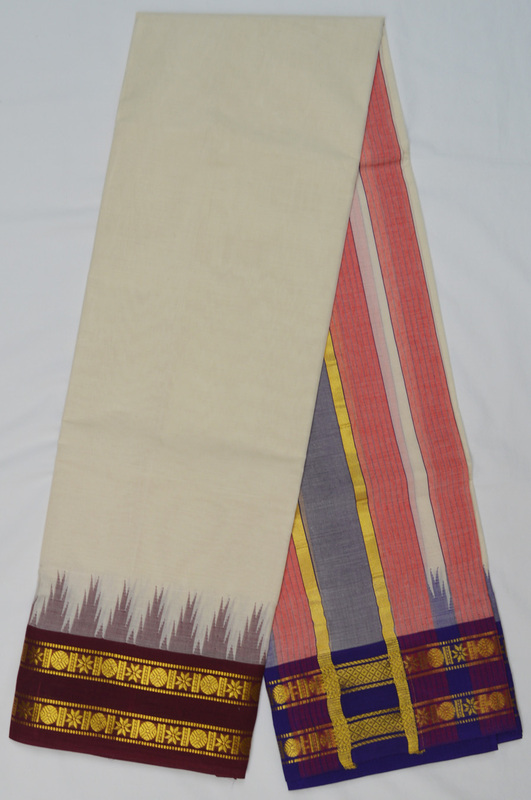 This Dhoti is for Deity Alankaram. Body is in Offwhite color. Top and bottom borders are in Red and Blue color woven with pure Zari.